(Reuters) – More small cocoa exporters in Ivory Coast were unable to fulfill their international contracts at the end of last year, and sources at the country’s cocoa board told Reuters that this group asked to postpone 70 percent of October-to-December commitments due to a lack of financing. 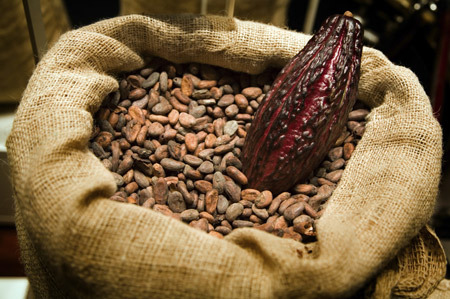 Each year, the cocoa board of top grower Ivory Coast (CCC) sells forward most of its expected harvest, a portion of which is allocated to small exporters. In October through December, small exporters were allocated contracts amounting to 180,000 tonnes of cocoa. That means those exporters have to buy that amount for sales to other countries. But small exporters increasingly lack the cash necessary to buy cocoa, sources at the CCC said, as local banks are reluctant to lend to them following the July collapse of SAF-Cacao, the country’s biggest exporter. Their difficulties are part of the reason the country’s cocoa market is increasingly dominated by the five largest players, with smaller exporters struggling to stay in business. Small exporters asked to postpone delivery of 70 percent of the October-December contracts to January-March, 2019, several sources said. This is a notable increase from last year, when they asked to postpone about 40 percent. “I had 5,000 tonnes of international contracts but I was able to deliver only 1,500 tonnes and I gave up the rest because I did not have any financing and there are no more beans,” said a director of an Abidjan-based export company. The CCC allows exporters to postpone once without penalty; after that, it finds itself in default or re-allocates the contracts to other exporters at a discount. Even when such exporters have the cash to buy cocoa, they often have a hard time finding it, as multinationals snap up a growing share of beans. The largest multinational players, Cargill, Barry Callebaut AG, SucDen, Touton and Olam International Ltd , held 71 percent of the 1.07 million tonnes of cocoa that arrived in San Pedro and Abidjan ports between Oct. 1 and Dec. 31, according to CCC sources and exporters. Last year, these five companies held about 50 percent. “‘The big 5’ have practically bought all the cocoa from October to December so that there is not enough left for others like us to execute our contracts,” said a director at another small Ivorian exporter. Exporters have the added challenge of deteriorating bean quality as Harmattan winds persist. Two small-to-mid-size exporters, Green & Brown and Tropicao, were already squeezed out of business last month, and CCC sources anticipate more to exit the industry. “At the end of January if we find that those who have contracts will not be able to execute it, we will cancel and re-allocate them,” a CCC source said. This consolidation will not only affect small exporters, but also the small-to-medium-sized European trade houses they work with, said Jason Estrada, senior trader at INTL FC Stone in Miami. Those trading firms boosted up their cocoa presence in 2018. This consolidation, however, could endanger their expansion, Estrada said.